Lately I am enjoying more photography and appreciation of small delights around Hawk Hill. 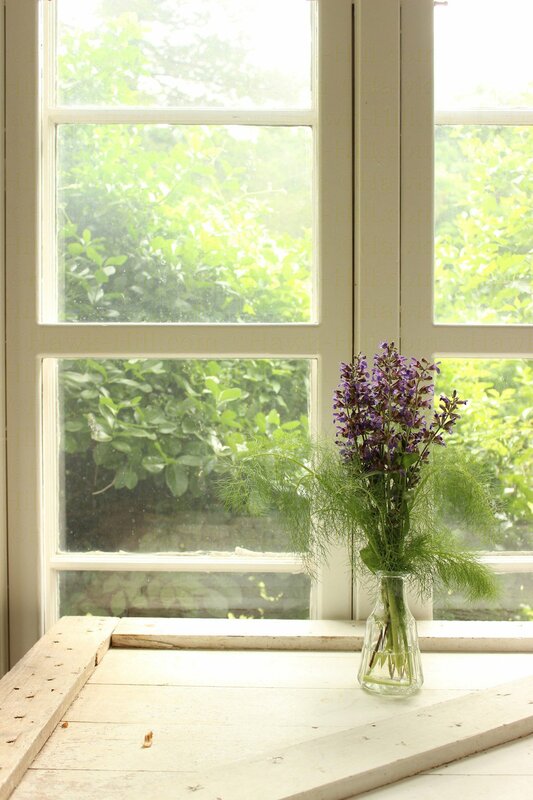 In this spring “Favorite Things” posts I got herb bouquets, art, and kittens. I’ve been trying to be more intentional about appreciating less glamorous things as beautiful- enter these sage blossoms and fennel fronds. Hardly standouts in the garden, they made such an eye catching addition to my studio. 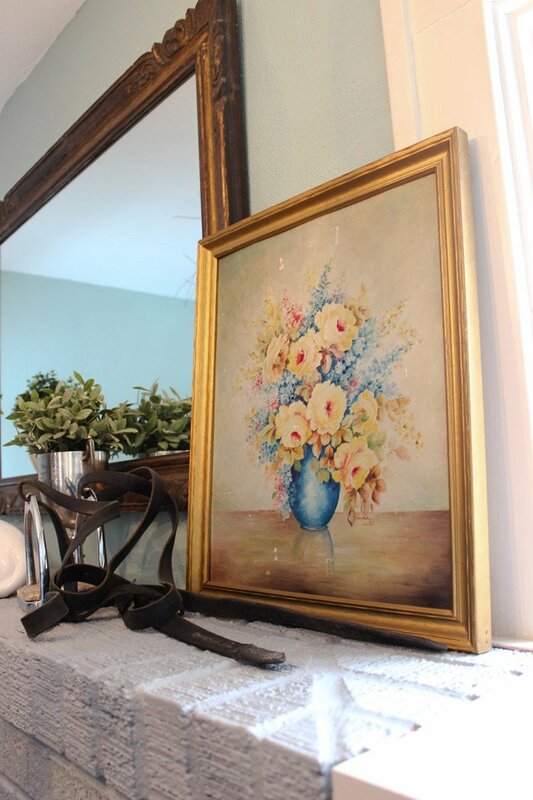 My favorite painting, it’s an original painting that I paid $2 for at a flea market. It’s these kinds of finds that keep me hunting even when I go for awhile without any good flea market finds. I got a kitten earlier this year. 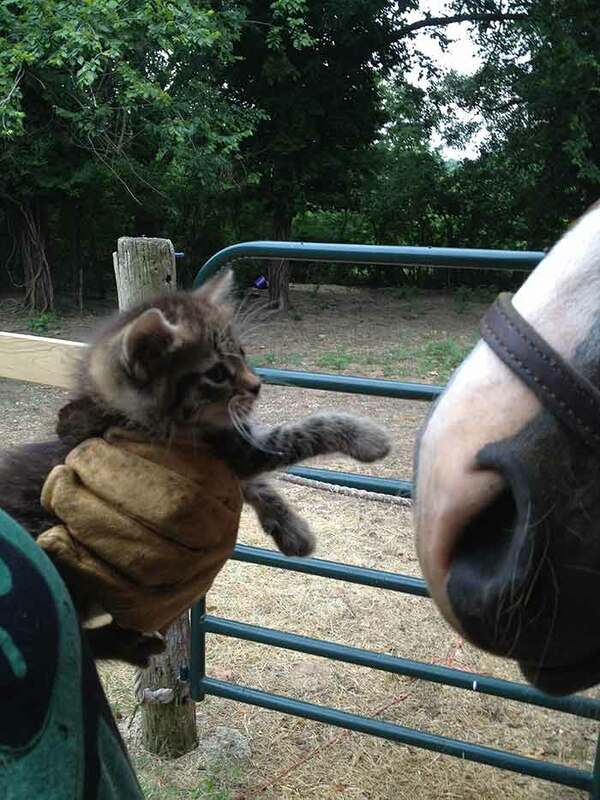 Here she is meeting the pony face to face! 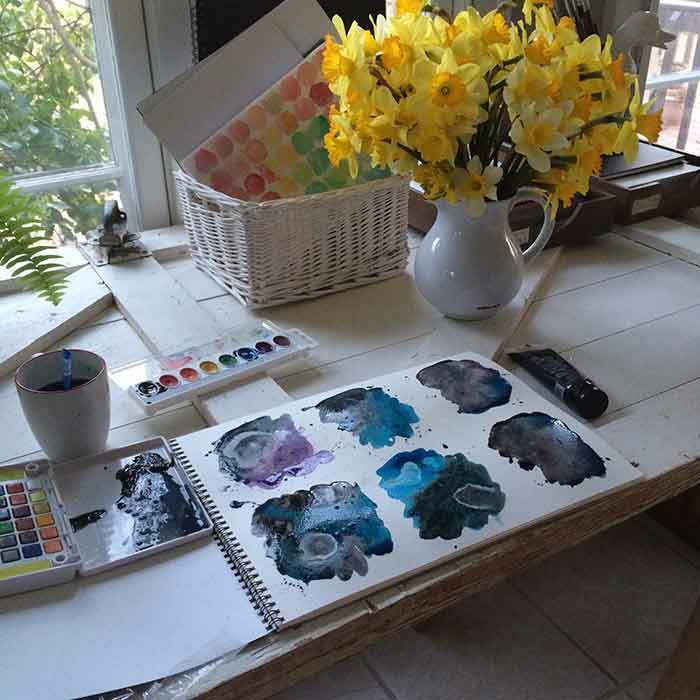 Daffodils and art make up a perfect Sunday afternoon for me. Here I’m painting notecards with black, blue, and purple watercolor, with some splattering just for effect. After these were completely dry I made some cards for friends by adding text with a white gel pen. In the background you see a painted pallet of watercolors- but actually every circle of that sheet is a sticker! Dark splashy watercolor splotches with rubbing alcohol effects. I like keeping several breeds of hens in my chicken coop. Not only does this mean I get a beautiful assortment of colored eggs when I college eggs, but learning to recognize each individual hen’s egg means being able to know, when egg counts are low, which chicken is not laying well. 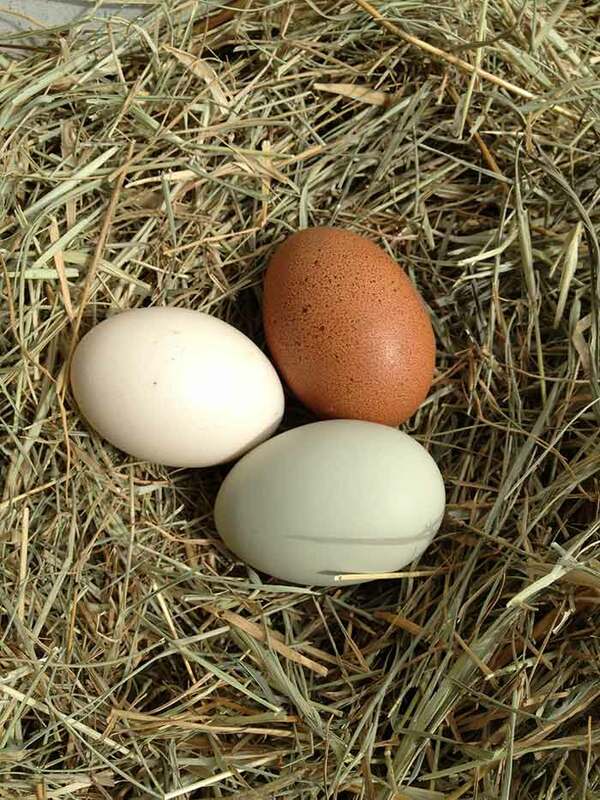 One of the best parts of keeping several breeds of chickens is the assortment of egg colors to collect. ← New Sofa = New Room!